Perfectly matched materials meet patented Clearaudio technology. The 70mm-thick platter of the Innovation Compact consists of dynamically balanced polyoxymethylene (POM) and is powered by a high-torque DC motor with precision bearings, developed exclusively for Clearaudio. The optimally designed chassis keeps resonances out of the audible range and guarantees maximum stability in a housing made of a massive panzerholz (bulletproof wood) and aluminium sandwich. Timeless design with quality built to last for decades. 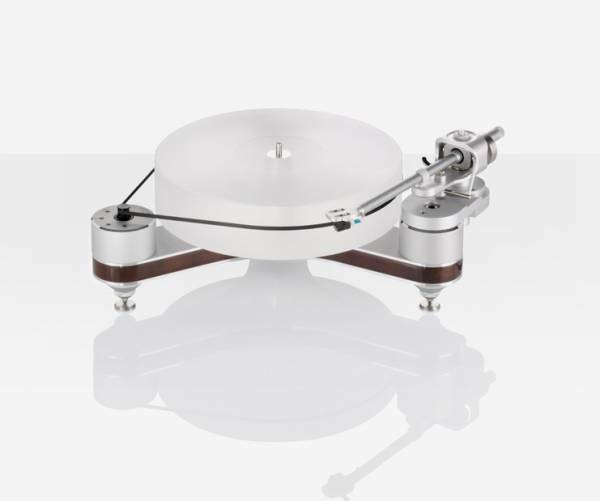 The option to mount a second tonearm makes it possible to play a rich variety of music from across the decades. Drive unit Decoupled DC motor in a massive metal-housing. This turntable can be connected to 230 V or 110 V AC (50 Hz and 60 Hz). Related links to "Clearaudio Turntables Innovation Compact"
Customer evaluation for "Clearaudio Turntables Innovation Compact"